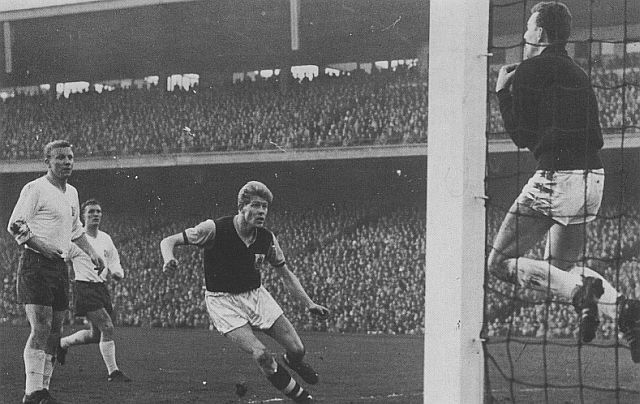 Two Brian Pilkington goals and one from Jimmy Robson had put Burnley in a good position against Hamburg in the European Cup, those goals giving us a 3-1 lead from the first leg of the quarter-final played at Turf Moor eight weeks earlier. 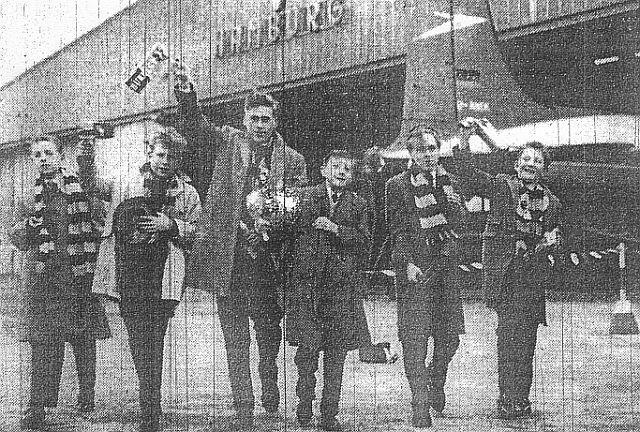 As Burnley prepared to fly to West Germany for the second leg, the news from the Hamburg camp was one of delight that Pilkington would not be travelling with the Clarets. Between the two legs he’d been sold to Bolton Wanderers and in his place Gordon Harris had come into the team. Harris had been in the team for the previous three league games following the sale of Pilkington but just days before must have felt he was back in the reserves as we made ten changes for the team to play Chelsea to keep the players fresh for two big cup ties in the next seven days; we were due to play Tottenham in an FA Cup semi-final just three days after the Hamburg game. The team were all ordered to Turf Moor on the Monday for tactics talks with manager Mr Harry Potts and flew from Ringway the day afterwards, just 24 hours before the game. They were followed by many supporters, certainly more than had been expected, who went by rail, road and air to get to the game. There were flights from both Ringway and City Airport in Manchester. Coach trips were organised with stop overs in such as Ahnem and even Amsterdam. For those not going there was news that the BBC would screen the second half of the game live but with this an afternoon kick off (Hamburg had no floodlights) many workers would miss it and would rely on score updates being relayed to them in their places of work. Many Burnley schools, including the one I attended (Tod Road), allowed the children to go home early to tune in for that second half. Over 70,000 were expected at the game with news that should the tie finish level on aggregate a replay would take place the following week in Madrid and a trip to Spain looked certain should we win. Our semi-final opponents would be Spartak of Czechoslovakia or Barcelona with the Spanish team holding a 4-0 first leg lead. Burnley were still in both domestic cup competitions and had semi-finals against Spurs, as mentioned in the FA Cup and Aston Villa in the League Cup to look forward to. There were real hopes of a cup treble. Sadly, any hopes of that treble faded away in the Volskpark Stadion. Burnley were never given a chance to settle in the game and were never able to find the sort of rhythm that brought the 3-1 first leg victory. Jimmy Adamson, in particular, was given a torrid time by Uwe Seeler, the Hamburg centre-forward. He just couldn’t match Seeler’s speed, power and slick opportunism. Only our two wingers John Connelly and Harris played with anything like the match winning zip required and their efforts alone were not enough. And when Burnley turned to Jimmy McIlroy his poise and polish were sadly absent. Had he been on song it could have been so different. There were only eight minutes gone when Hamburg thundered in their first goal. 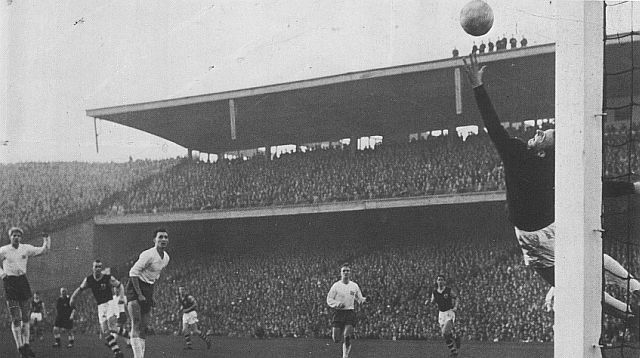 Left winger Dörfel lifted over a centre which sent inside-left STÜRMER diving goalwards like a torpedo. His head met the ball and Hamburg were leading. Roared on by a fanatical crowd, UWE SEELER scored a stupendous special three minutes before half time to level the scores on aggregate. It came at the most disheartening of moments for Burnley who were just beginning to creep back into the game. Back in England, television sets were going on with the score of Hamburg 2 Burnley 0. There were shocks all over town at that scoreline but with hope that it could all be turned round in the second half. We were still in this tie with it level at 3-3 on aggregate. Burnley looked better at the start of the second half. The sparkle, albeit briefly, returned and HARRIS cheered the Burnley supporters and the British soldiers in the ground by hitting a 20-yard shot into the corner. The Hamburg fans were shocked at their team having to come from behind again but that’s just what they did. Burnley’s goal heralded a massive burst of energy from the home team and two minutes later the brilliant Uwe Seeler whipped the ball across for DÖRFEL to hammer a left footer past Blacklaw. It was all Hamburg now and after two more minutes later they got themselves in front on aggregate for the first time with another superb UWE SEELER goal. McIlroy came close in the last minute for Burnley and a goal then would have given us that Madrid replay, but it was not to be and the 4-1 defeat saw us go out 5-4 on aggregate. Mr Harry Potts and his players were not disheartened but were obviously disappointed. This Hamburg hammering was something that could, and probably would, have happened to any British side. The West Germans, on the day, had proved unstoppable. Hamburg: Horst Schnoor, Gerhard Krug, Jürgen Kurbjuhn, Jürgen Werner, Jochen Meinke, Dieter Seeler, Klaus Neisner, Horst Dehn, Uwe Seeler, Klaus Stürmer, Gert Dörfel. Burnley: Adam Blacklaw, John Angus, Alex Elder, Walter Joyce, Jimmy Adamson, Brian Miller, John Connelly, Jimmy McIlroy, Ray Pointer, Jimmy Robson, Gordon Harris.